DIRECT GULF FRONT HOME with PRIVATE BEACH and 190 FEET of GULF FRONTAGE in the gated, exclusive Sanderling Club! Dazzling water views and magical sunsets are yours from this five-bedroom home on over TWO ACRES on Siesta Key. An architect designed re-build and second floor addition was completed in 2000 when the entire structure was taken down to the studs and reinforced with steel beams. 10 8217; ceilings and honed travertine throughout. The chef’s kitchen has 6-burner Viking range, pot filler, hand-forged range hood, double Sub-Zero and walk-in pantry. The master suite has custom closets, a second laundry room, spacious gym, study/office and a romantic porch for sunsets and morning coffee. Take a dip in the heated pool and let the festivities move into the adjacent game room with bar and wine cellar, or the Cabana with grill and kitchenette. Also on the grounds are a woodworking shop and greenhouse. This property (one of few in Sanderling large enough) is zoned to allow a very desirable full guest house in addition to the main house. If your wishes are for new construction, this is the ultimate private estate setting. Live in the existing home while developing plans and obtaining permits. Sanderling is a highly sought-after, Gulf-to-Bay guard gated community with unequalled privacy, unique architecture, tennis courts, boat slips, Paul Rudolph-designed cabanas and beach house. Sarasota, with its sophisticated restaurants, world-renowned ballet and opera, museums, galleries and shopping is a short drive away. Please, send me more information on this property: MLS# A4416545 – $6,750,000 – 8230 Sanderling Rd, Sarasota, FL 34242. 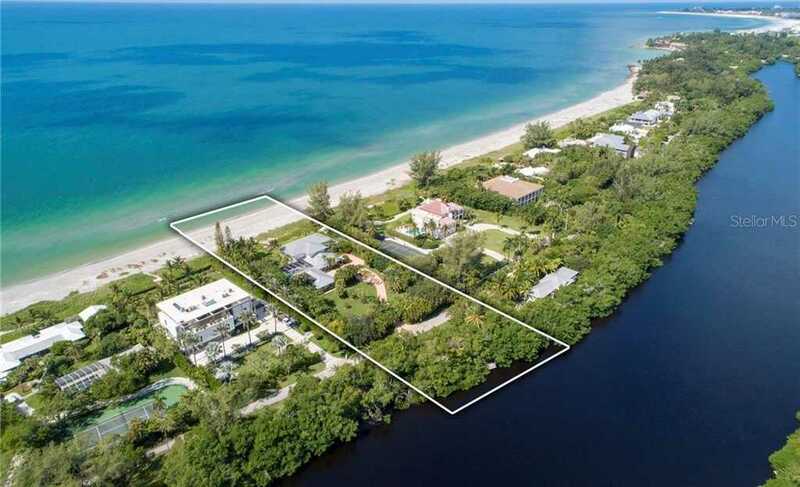 I would like to schedule a showing appointment for this property: MLS# A4416545 – $6,750,000 – 8230 Sanderling Rd, Sarasota, FL 34242.